No sign. Cabiness-Lucas Home, ca 1832. Twickenham Historic District. Built by George Steele, local 19th century builder & architect. Home is on Historic American Building Survey (HABS) & National Register. Large corner lot. Many original features, including staircases, heart pine floors, mouldings & mantels. Multiple Fireplaces! Great Civil War history. COMPLETELY restored & expanded in 2008 with all new systems & updates. House wide security & audio system, with automatic built-in backup generator. 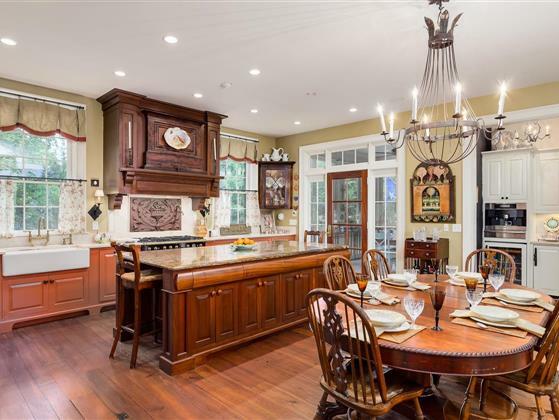 Great formal spaces, wide open porches, Lots of exposed brick & rough hewn beams, Gourmet kitchen opens to the family room. 2 car garage & 2 car carport, Walk to parks or restaurants!